for $609,900 with 4 bedrooms and 4 full baths. This 4,351 square foot home was built in 1984 on a lot size of 111 x 156 x 125 x 175. Custom built one-owner on quiet cul-de-sac at Alamance Country Club. Main floor master suite features 2 baths, large closet/dressing area. High level quality trims and finished throughout. 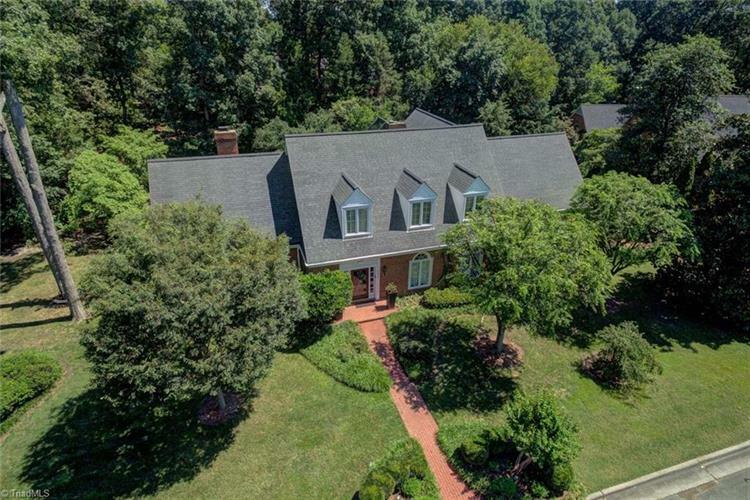 Breath-taking vaulted ceiling great room, 3-sided sunroom overlooks brick floored terrace & patios. Kitchen w/walnut tops, gas FP, Miele D/W, Dacor 5-eye gas top & ovens. Fabulous flr plan for entertaining. Heart of Pine floors, 2 staircases. Home has 2 air-filtration systems.